Poore’s Propane & Oil offers expert residential heating equipment installations featuring the most efficient furnaces and boilers available. Our many years of experience installing high efficiency gas boilers and gas furnaces, as well as oil boilers and oil furnaces, gives our customers a tremendous advantage. With decades of experience, we have the talent and resources to design heating systems that fit each customer’s specific comfort and efficiency needs. Poore’s service technicians stay at the top of their game by solving problems, and devising innovative solutions every day on the job. Plus, each of our technicians participates in regularly scheduled training to keep on the cutting edge of heating technology. All of our employees are fully insured, and all of the work we do is guaranteed to provide you with years of trouble-free comfort. When it comes to equipment, experience is our guide, which is why we install top brands by such industry leaders as Carrier and Trane. The quality of these systems, together with our painstaking professional furnace and boiler installation process, has given comfort and savings to thousands of folks in Lewes, Dover, and surrounding towns. 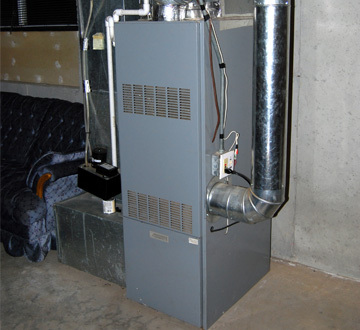 Furnace installation/boiler installation=comfort, efficiency and savings! Most homeowners don’t think much about their heating systems until there’s a problem—or until their heating expenses begin to soar. You’ll want your furnace or boiler to keep you warm on a consistent basis and for your heating system to provide an efficient source of heat. If one or both of these needs isn’t being met by your current system, it’s time to call Poore’s Propane & Oil for a free, no-obligation heating system evaluation. Just call us and we’ll schedule a time that’s convenient for you. We’ll ask you about your current home comfort situation and we’ll evaluate your system from top to bottom using the latest tools. Is there a room in your home that never seems to get warm? Does it seem like your furnace or boiler is constantly running? Are your heating costs too high? If this sounds like your situation, it might be time to ask us about a new boiler or furnace installation. Heating technology has come a long way in just the last decade, so a new furnace or boiler will almost certainly lower your energy bills, in addition to enhancing your comfort. One thing’s for sure, you will never know unless you call us. We know that a furnace or boiler installation is a major purchase, which is why we will go out of our way to make sure that you can benefit from any rebates or incentives that may be available to you—we’ll even help you fill out the paperwork! Do you live in Lewes, Dover,or anywhere in our Delmarva service area? Are you worried that you may be missing out on efficiency and savings? Do you think that your furnace or boiler may be nearing its end? Call Poore’s Propane & Oil today. We’ll provide an objective opinion about your heating system and tell you if we think it may be time to upgrade your heating equipment. Don’t gamble with your comfort—contact Poore’s today!